The 1st of 5 par 3’s on the course. 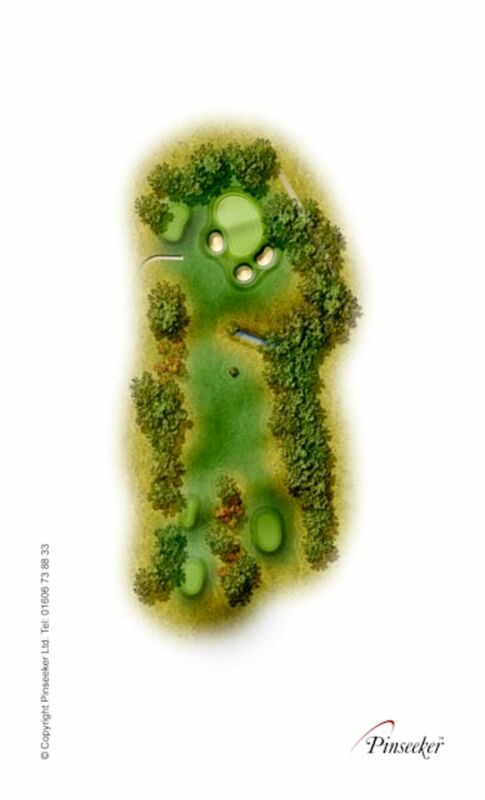 This hole plays longer than its length as the ball has to be carried all the way to the green. When the flag is at the back use plenty of club to this two tier green.